The latest addition to my cookbook library is Honey & Co’s The Baking Book, by Sarit Packer and Itomar Srulovich. It has the same UK publisher as my friend Rachel’s Five Quarters (which boasts a couple of my recipes), so I went along to the launch event a few weeks ago, bought a copy, got it signed and have been trying out the recipes since. 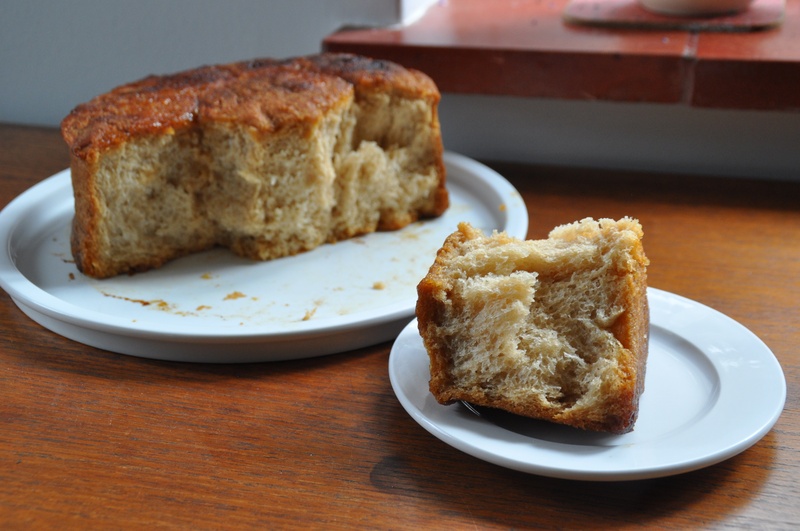 I love enriched doughs, so I was drawn to the recipe for kubaneh. Sarit’s family has Egyptian and Yemeni connections, and this bread is from the latter culture, specifically it’s a Yemenite-Jewish Sabbath breakfast bread. Reading more about it now, it’s traditionally baked overnight in a sealed tin. While Sarit’s version bakes for a fairly long time, it’s not overnight. Some versions include whole eggs, and can be eaten as more savoury affair, with tomatoes or a tomato dip, or skhug, Yemeni hot sauce*. This one is sweeter. It’s rich in butter (or smen/semneh fermented sheep or goat milk butter; or margarine, depending on your dietary restrictions and inclinations and shopping options) and drizzled with honey, which caramelises together slightly. Why haven’t I heard of this before?! Just my kind of thing. I’ve tweaked the process slightly and given the ingredients in a more consistent format, so as to also include bakers’ percentages (below). 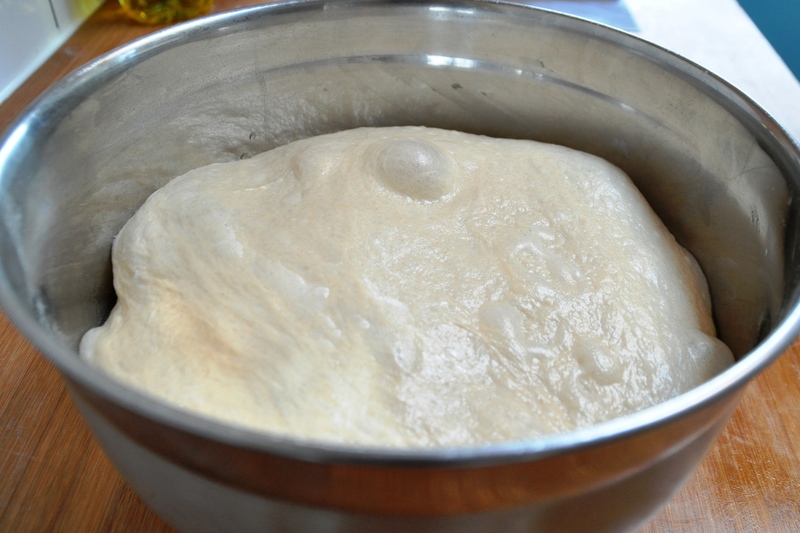 It’s a fairly moist dough – the original recipe says 300-350ml water, but I split the difference at 325ml: 325g. That works out at about 65% hydration, so quite wet and sticky. 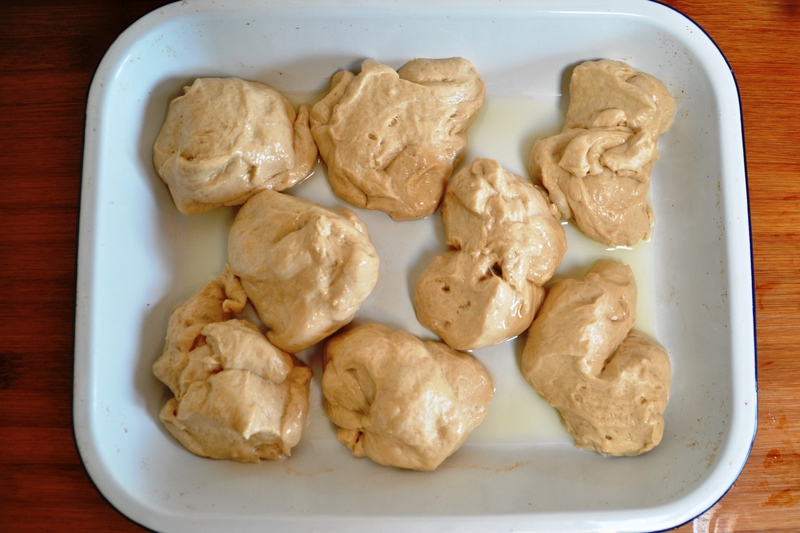 Check out my post on handling sticky doughs. For this baking vessel, they use a “traditional lidded aluminium pot” but say you can also use a 20cm fixed bottom round cake tin, with a “lid” made of foil. I used fresh yeast. You could use 10g active dry/granular yeast instead. 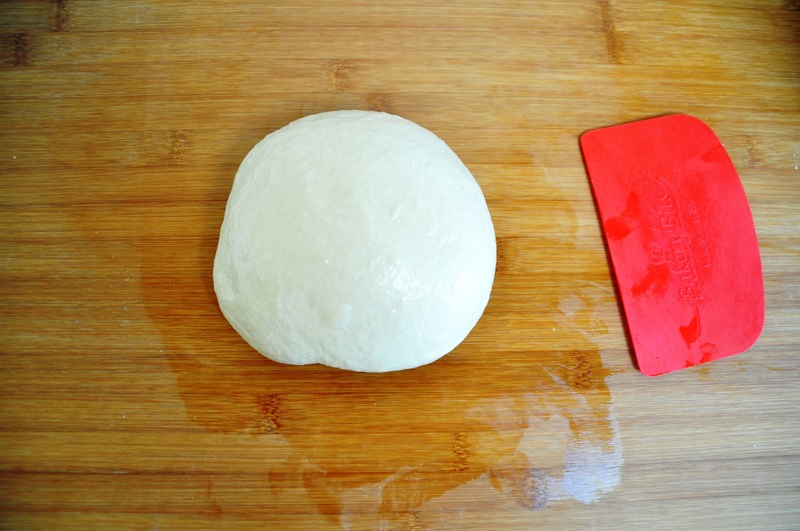 If you only have instant/powdered yeast, you don’t need to mix it with liquid first – just combine it with the flour. 1. Mix together the water, sugar and yeast. Stir to dissolve the yeast. 2. Weigh out the flours into a large bowl and add the salt. 3. 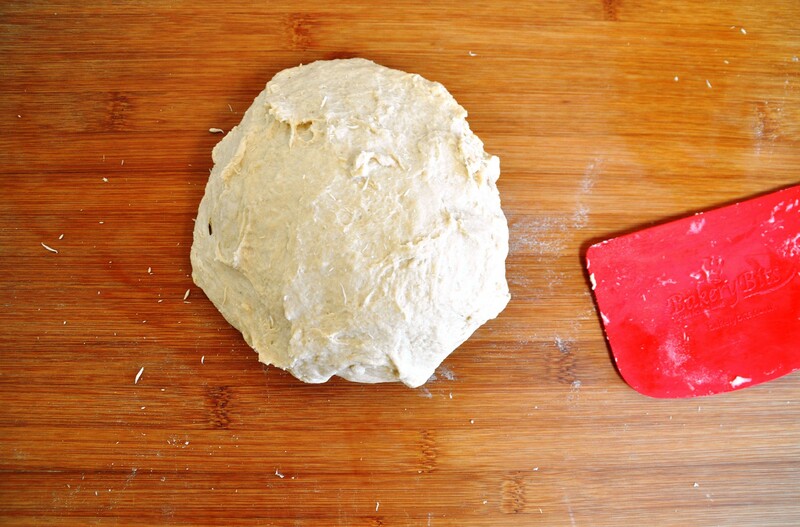 Add the yeast mixture to the flour and bring together a dough. I don’t have a mixer, so my instructions are for doing it by hand. If you do, just mix until well combined and smooth. 4. 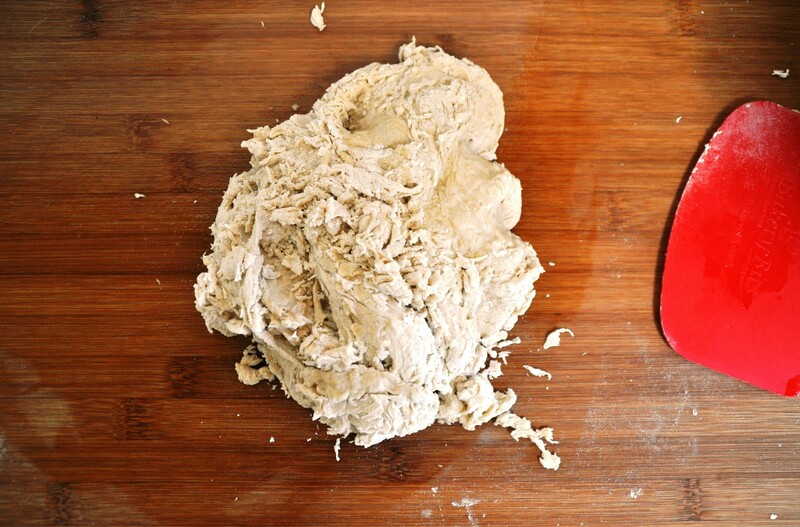 Turn out the shaggy mixture onto a lightly oiled work surface and knead. I used the Dan Lepard technique of not kneading too much, then returning the dough to the bowl, cleaned and oiled, leaving for 10 minutes, then kneading briefly again. Repeat this twice more, then return to the cleaned, lightly oiled bowl. 5. Cover with plastic or a clean, damp tea towel and leave to prove for a couple of hours, or until doubled in size. The time will depend on the ambient temperature. It’s about 20C in my kitchen on a mild English summer’s day, and it took about two and a half hours. 6. While it’s proving, liberally grease the cake tin with butter, and grease the underside of the foil lid too. If you have a lidded pot, grease that similarly. 7. Sarit describes the next step as “the strange bit” – you moisten your hands then “flip the dough about in the bowl to knock it back”. Do it three times, keeping your hands moist. 8. 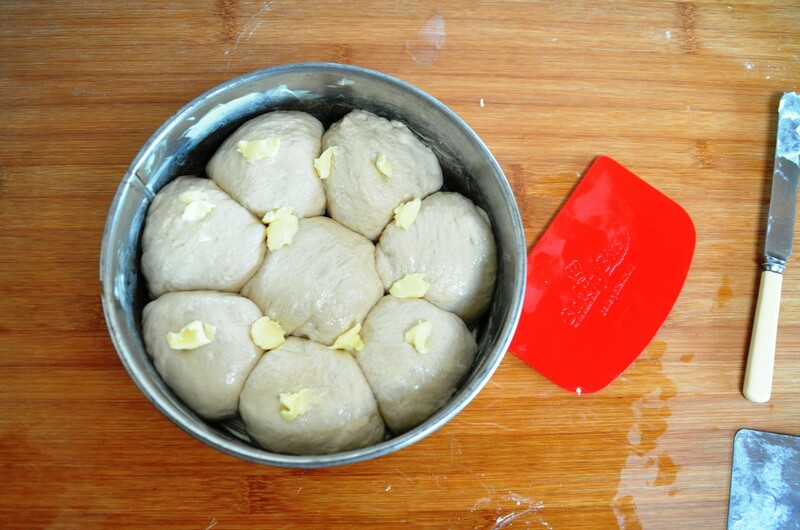 Oil a tray, then divide the dough up into eight pieces and place them on the tray. 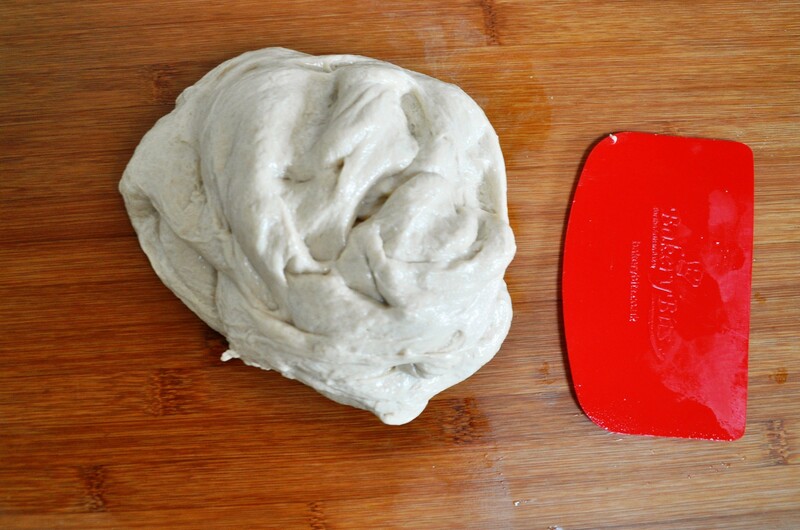 The dough weighs 900g, so eight pieces at around 112g. 9. Oil your hands a bit then take each piece, stretch it slightly, and put a blob of butter in the middle. I used pieces at about 10g, half a walnut size. 10. 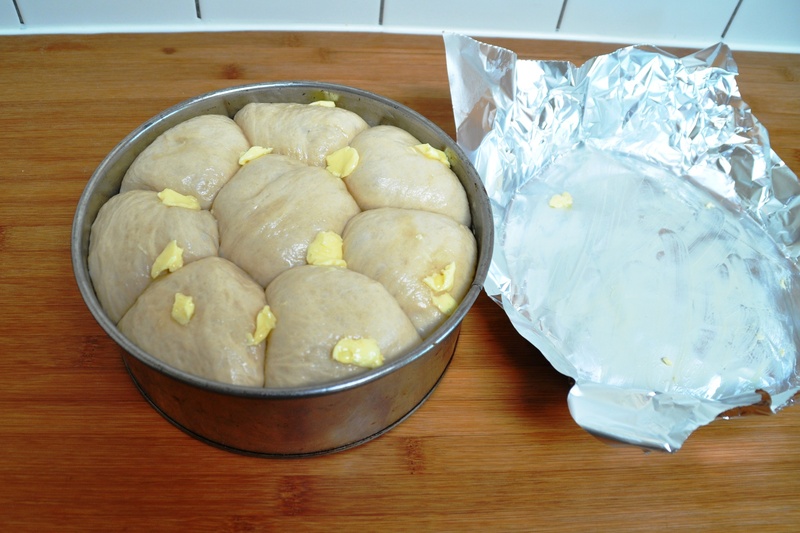 Smear the butter a bit then wrap the dough around it to form rough balls. 11. Put the balls in the prepared tin, one in the middle, the rest equally spaced around it. 12. Put some more flecks of butter on top, drizzle with honey then cover and prove again until the dough “almost reaches the top” – too high and it’ll “overflow when baked.” I drizzled a bit more honey and added a bit more butter before baking. 13. Preheat the oven to 220C. 14. Put the tin, with its lid, in the oven and bake for half an hour. 15. Reduce the heat to 200C and continue baking for another half an hour. 16. Reduce the heat again to 180C and continue baking for another half an hour. 17. Turn the oven off and leave in the oven “for at least an hour”. 18. It’s best served warm, so if you’re an insomniac and have been doing this all night, or proved it overnight in the fridge and baked it early, enjoy it thus. It’s surprisingly soft and chewy, and if you’re lucky, you’ll get nice caramelised bits. I won’t be doing it every week, but it’s a great addition to my enriched breads & breakfast bakes armoury. It’s also reminiscent of English lardy cakes, particularly the fruit-free versions from my part of the country, Hampshire and Sussex. Though obviously the fats used are a bit different for that gentile bake. It’s also got me thinking about that most indulgent of fatty-sugary-doughy caramelised concoctions, the Breton kouign amann, which is more a pastry than a bread. Still, I might have to revisit that soon. * Aka zhug, zehug; the Honey & Co The Baking Book also has a recipe for this, to accompany their lahooh, Yemeni pancakes. I hate breakfast, and yet I’ve had breakfast two mornings in a row now. Something to do with the Kubaneh. Surprisingly light and not too sickly. Really rather good and now makes me want to go to Honey & Co for breakfast. I recently got my copy of the Honey & Co baking book as well. The Kubaneh recipe has already been mentally earmarked. And I agree, it reminds me of Kouign Amann as well. Will have to give this a go next time I have a crowd to feed for breakfast (it just sounds like the thing that needs to be eaten warm in one go, people fighting over the caramelised bits and everyone slightly overdoing it). Yes, good for a crowd but it also made fab toast a few days later.